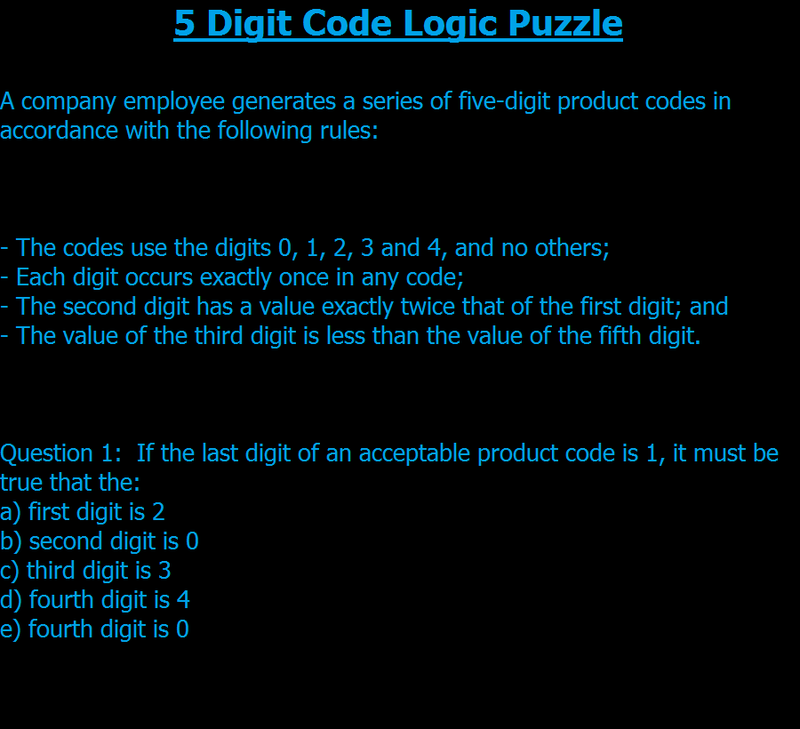 This is an LSAT Logic Game style quiz. There are five questions. Each slide contains the same fact pattern and one of the five questions. All questions are in multiple choice format. You should only enter the letter of the correct answer. A pen and scratch paper is recommended. This puzzle can and should be solved without any guessing. Good luck!